On 7th January 1915 the war in Europe was at a stalemate. Soldiers were still dying for an unknown cause but the papers in the UK at least, were headlined with floods that covered much of the country. On the following day, the future UK Prime Minister David Lloyd George, in response to the war not ‘being over by Christmas’, said that half a million new volunteers should not be ‘thrown away in futile enterprises’ and by ‘this intermittent flinging …. against impregnable positions’. On 7th January 2015 twelve people were killed by terrorists in Paris, almost 100 killed and maimed on the streets of Sanaa, and, although not known on the day, hundreds were being slaughtered by Boko Haram in Nigeria. And of course there were ongoing deaths caused by the war in Syria, Iraq, Afghanistan, and continued instability in Libya. One hundred years of wars, still raging in an age of supposed modernity. ‘Down in the barn/a shell came crashing/like the hopes of all the years collapsing.’ (Wildfire, Albert-Paul Granier, 1914). 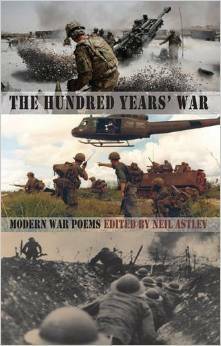 So it is sad but unsurprising that the latest anthology of poems from the great editor Neil Astley of Bloodaxe runs to around four hundred and twenty poems, and there could have been many more (e.g. I don’t think there are any about Rwanda). 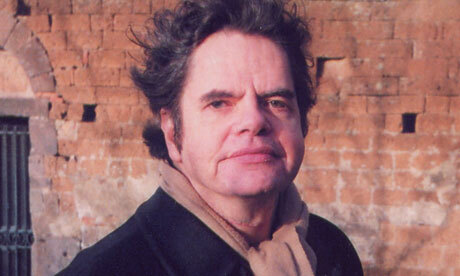 You almost wish there were fewer poems simply as a reflection of fewer wars. The anthology takes us through the major conflicts of the last hundred years; Eric Hobsbawm described the 20th century as the most murderous in recorded history. Beginning with 1914 probably the most well-known set of poems about the First World War and taking us right up to the new forms of war that we see on the streets of major capitals and in such paradoxical internationalised civil conflicts as Syria. Neil writes a concise and insightful one-pager for each war, covering the conflict itself and the response of poets to it. And there is the chilling figure of the number of deaths for each one. Common I think to many of these conflicts is the disproportionate losses of working class lives, whether in the First World War as soldiers, or the Second World War as civilians. Many of the poets were/are directly involved, either as soldiers, journalists, photographers, or civilians. And so there is a good range of perspectives and spread of nationalities. Most recent of all, Dan O’Brien wrote a powerful collection based on the information given him by the ‘War Reporter Paul Watson’. For me, the wars in the Middle East and Northern Ireland (the latter euphemistically called ‘The Troubles’), were particularly resonant. I also learned a great deal about other conflicts such as The Spanish Civil War and the Korean War. But it was to the last section, the current conflicts, that I was initially drawn to and will stay with me longest; for I have not doubt, that section, which is one of the smaller sections of the book, will tragically soon be expanding.